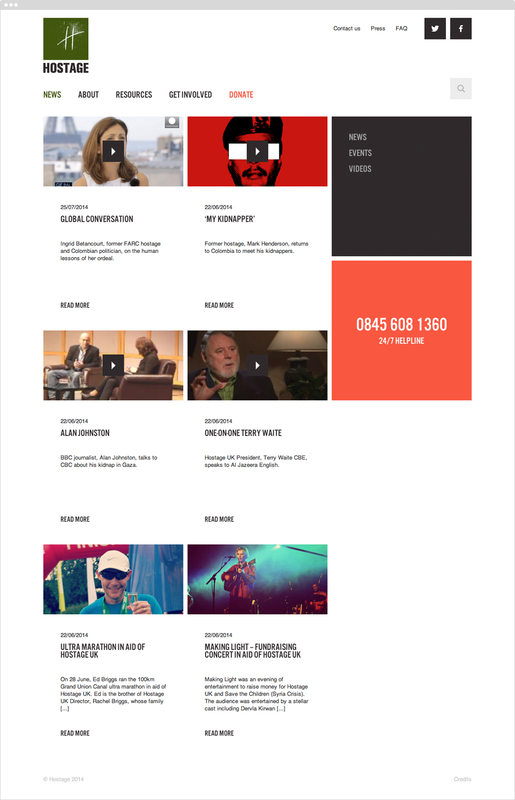 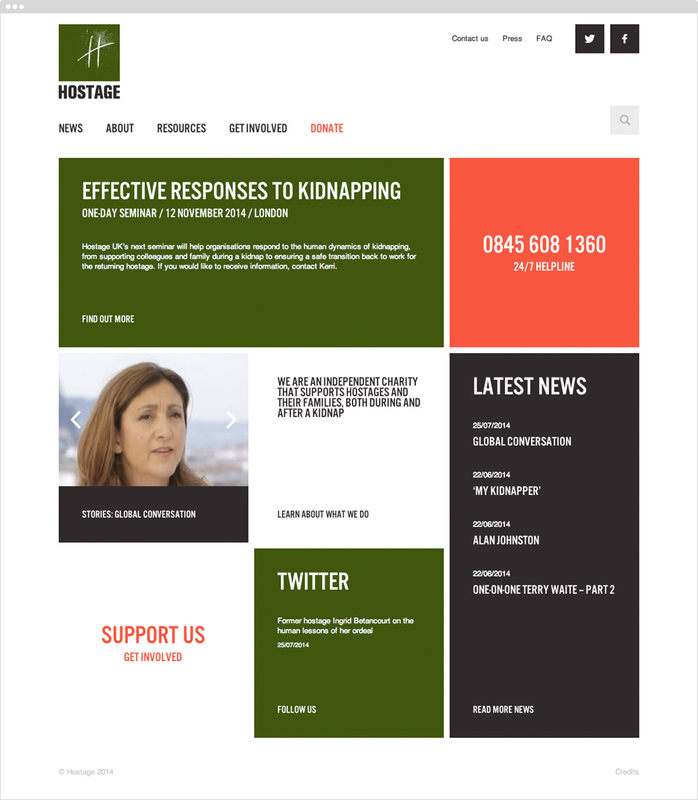 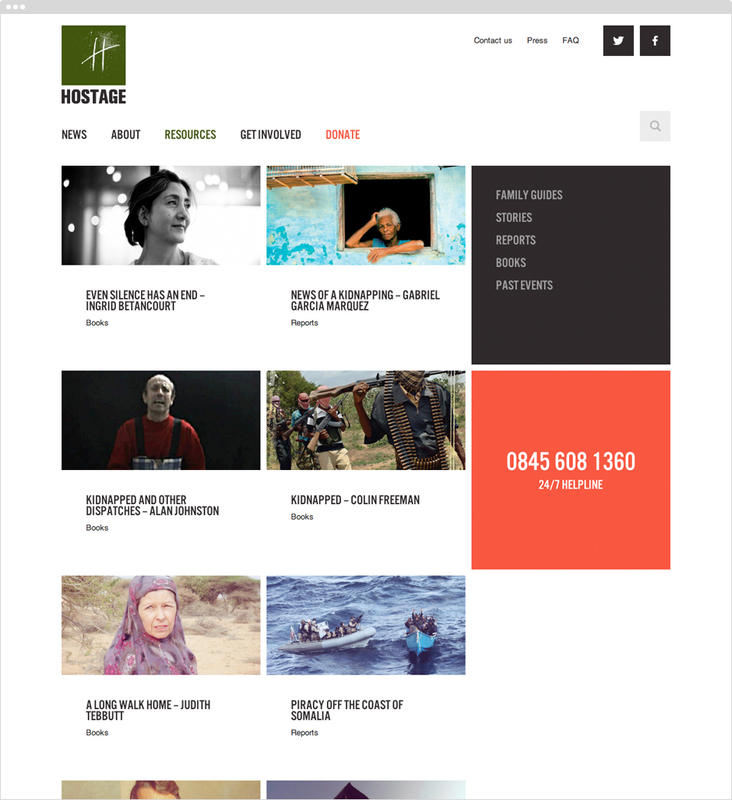 Website designed to update and strengthen Hostage UK online presence, explain its work, provide news, events information and resources and encourage involvement. 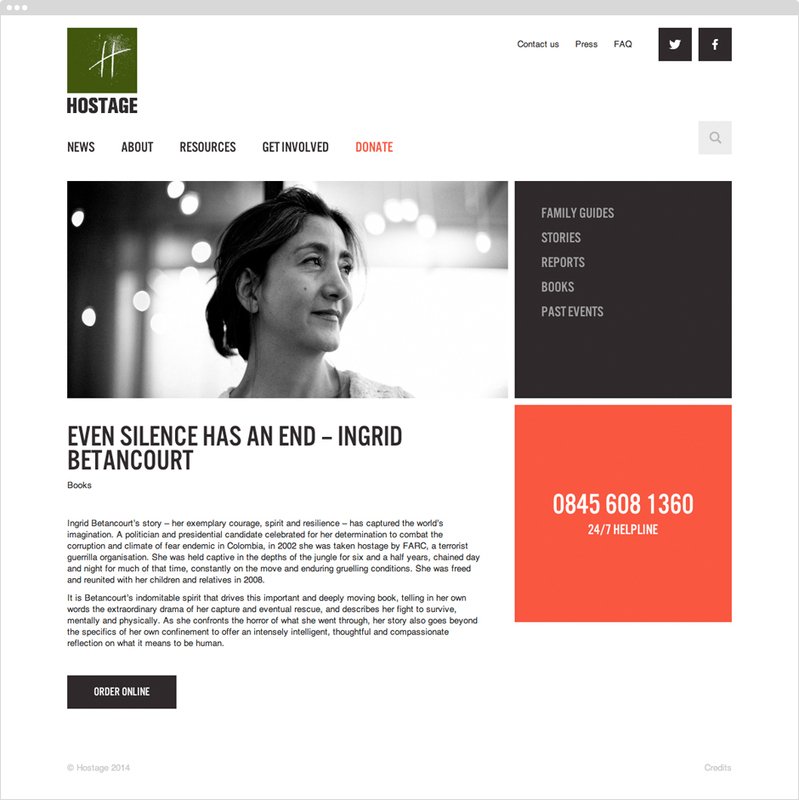 The design takes its cue from the Hostage UK logotype that Crescent Lodge designed in 2004. 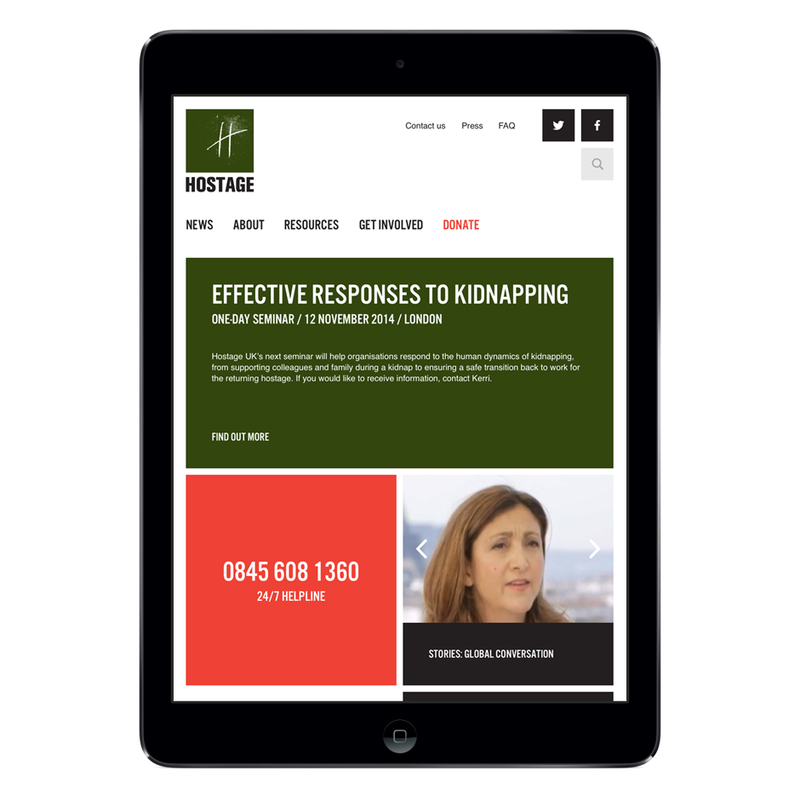 Navigation and content are displayed prominently on a responsive and editorial layout to give an immediate sense of the charity’s identity, independence and vision.